The Canadian Rockies Experience, our most popular short package, wraps up the Rockies, including Lake Louise, in 5 days. 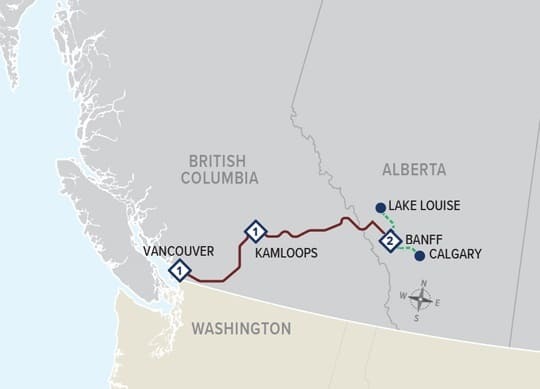 Spend two days on the incomparable Rocky Mountaineer, two days in Banff National Park, tour to Lake Louise, then transfer from Banff to Calgary airport or downtown Calgary. 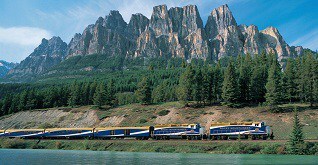 This compact package is just what many people are looking for in a package: a train trip to the Canadian Rockies, stunning scenery, great value and enough time to explore both Banff National Park and Lake Louise comfortably and easily. Extend your stay in the Canadian Rockies with extra hotel nights, and/or rent a car and explore the Rockies on your own. Pick up a car in Banff and drop it at the Calgary airport. Just few days to explore the Rockies? Then the Canadian Rockies Experience is our best choice for you.